Google has officially released the Android 9 Pie build today and even though it does come with a ton of AI features, there’s one important piece of the puzzle missing from the equation. It is called ‘Digital Wellbeing’ and is now being made available for beta testing exclusively on Pixel devices. Digital Wellbeing, a dashboard that helps you track your real smartphone use, was shown off at Google I/O 2018 earlier in May but it’s not ready for prime time yet. Instead, Google is now making this feature available in beta exclusively to Pixel device owners. 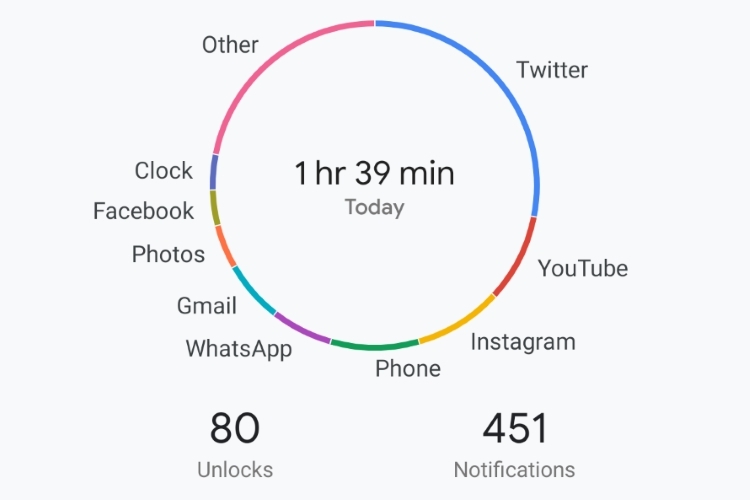 If you’re not familiar with Google’s Digital Wellbeing feature, it has been designed to tell you how much time (in hours and minutes) you really spend looking at your smartphone screen. It will show you info such as time spent on each app or service, number of times you unlocked the devices, and more. This is the primary dashboard that gives you a birds-eye view of your usage. You then have features such as App Timers and Wind down mode. Here the former tool gives you the ability to set limits for apps or services that you intend to use less and are grayed out once the time limit is breached, whereas the latter turns the screen to monochrome, as well as turns on do not disturb when you tell the Assistant that you are off to bed. 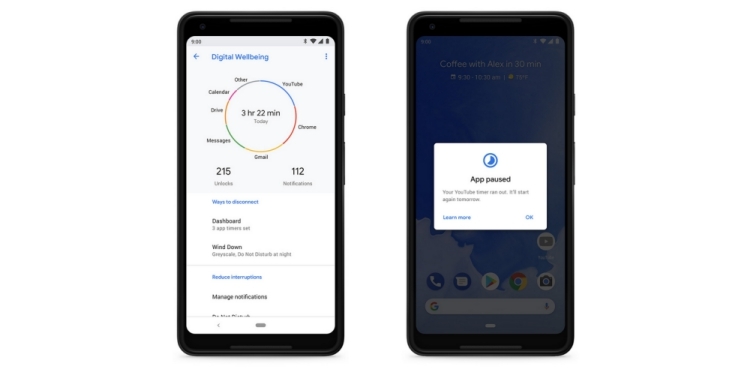 We initially thought that Google will make the Digital Wellbeing tools available at a later stage, possibly alongside the Pixel 3 launch, but it’s great to see that the tech giant has decided to test out its new tools with existing Pixel users (running Android P). You need to follow this link to sign up for the Digital Wellbeing beta, post which an email invitation will be sent over to you in the next 24 hours. You’ll need to accept this invitation and get the link to the Play Store link for the Digital Wellbeing app. Once you have gone through all these steps, the tools should make an appearance in the Settings on your Pixel, Pixel XL, Pixel 2, and Pixel 2 XL device. So, have you already got the Digital Wellbeing beta app? How do you like these new tools? Share your experience with us in the comments below.